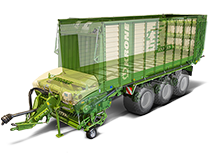 Perfectly tensioned chains make for a dependable crop feed to the rear and offer increased service life. 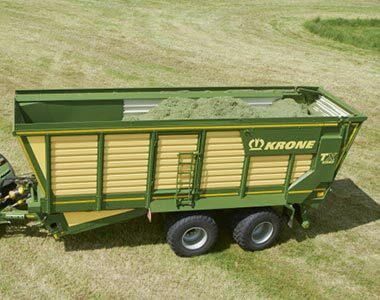 With an unloading speed of 34 m/min the TX wagons take less then a minute to fully unload delivering true productivity. The bespoke single frame design with the sloping bed at the front reduces the machines dead weight whilst increasing its capacity. 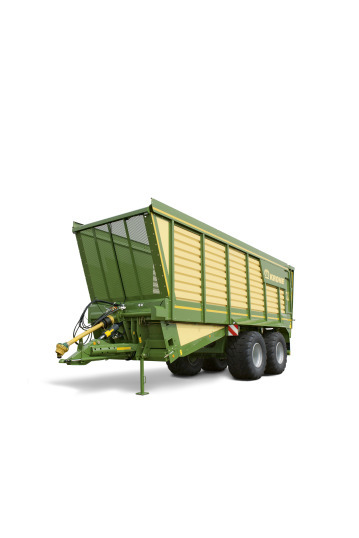 With a massive capacity of 56m³ the TX wagon will suit all your carting needs. Two chain-and-slat floors ensure material is unloaded smoothly and fast. 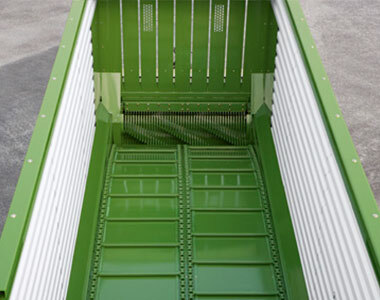 The box section chain slats provide and excellent grip on the material and a positive feed. Extra strong low maintenance 1¼” chain runs in a plastic rail for extreme durability. Articulated drawbar makes for easier filling when following behind the forage harvester. 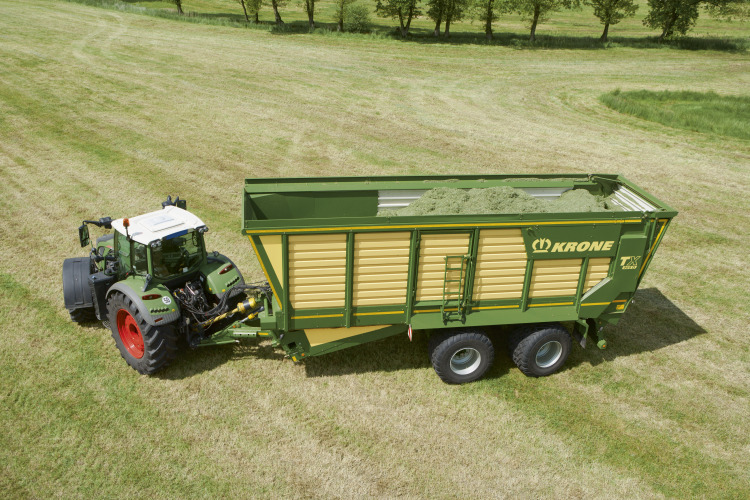 As the wagon’s front end tilts towards the tractor, the filling angle increases for loss-free filling from rear to front. 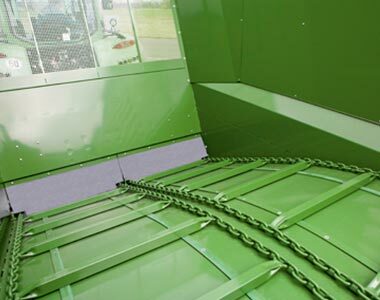 The 1½” thick drive chains drive the chain-and-slat floor unloading huge masses of material in a quick and efficient manner. 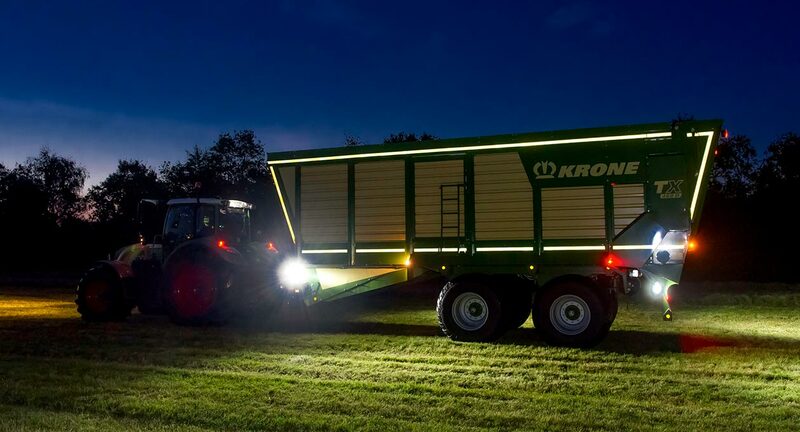 Equipped with two discharge rollers with a 450mm diameters the teeth grip the crop for faster unloading. The rollers are driven by 1″ chains to deliver full power to the rollers along with spring-loaded chain tensioners for smooth and dependable operation. The main driveshaft has an integral overload clutch that protects the rotors and allows even faster unloading. 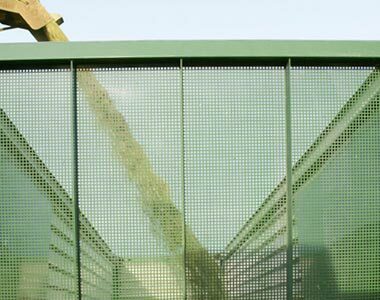 The mobile ejector wall at the front inclines and pushes the material until it topples, supporting the chain-and-slat floor. Electronic weight system, great for if you want to know field capacities. Optional camera so you can see the filling of the wagon in the cab.